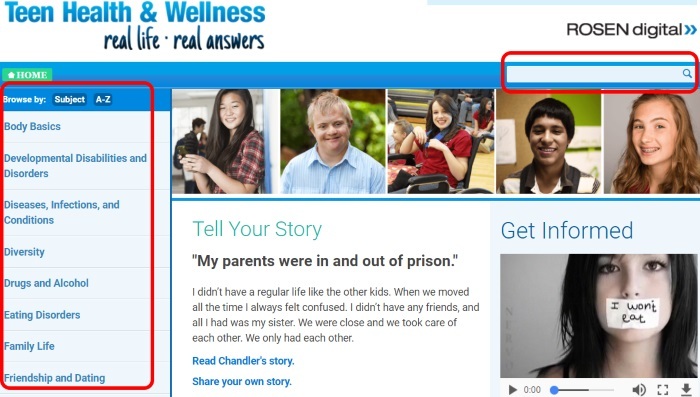 Teen Health & Wellness is an award-winning, critically acclaimed online resource for middle and secondary school students. It provides straightforward and nonjudgemental information on a wide range of topics including diseases, drugs, nutrition, mental health, green living, and much more. Click Here or on the image below to login.